St. Andrew's-Wesley United Church lead minister Dan Chambers issued a brief statement Tuesday in response to questions about Ali, a Syrian national who came to Canada with other members of his family in March 2017. "We have nothing to say publicly as this is before the courts," Chambers wrote. "The church will co-operate with the police, and we are keeping everyone involved in this in mind, hearts and prayers." 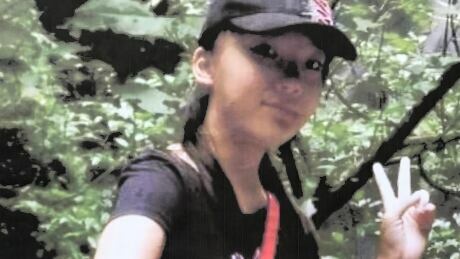 "Mr Ali, you're before the court today to deal with the following charge: Ibrahim Ali, on or about the 18th day of July 2017, at or near Burnaby in the province of British Columbia, did commit the first degree murder of Marrisa Shen." According to an article in the Bowen Island Undercurrent, one of Ali's brothers came to Canada as a government sponsored refugee four years before his siblings. They also partnered with St. Andrew's-Wesley, which has a refugee task force as part of its commitment to justice and social action. "Bowen's greatest attribute is its community. It is fundamental to our sense of well being. It's our collective priority," says a piece contributed to the Undercurrent at the time. "Fifteen months ago, we, as an island put this collective ethos into practice by raising the means to sponsor a refugee family of seven from Syria." The CBC contacted members of both the Bowen and St. Andrew's-Wesley groups following news of the charge against Ali, who is now a permanent resident. But all were reluctant to speak publicly. According to by Immigration, Refugees and Citizenship Canada, an officer at the Canadian visa office makes the final decision on whether a candidate is eligible for resettlement. Immigration lawyer Zool Suleman told the CBC's Early Edition the screening process is very thorough. "It's very unusual for someone with a significant criminal record to enter Canada as an immigrant," he said. "There are very robust checks in place to keep an eye on this dimension of all immigrants who come here to become permanent residents." RCMP said Ali had no criminal record and was unknown to them before he came to their attention as part of the investigation into Shen's death. The break in the case followed more than a year of frustration for Shen's family and the investigators tasked with cracking the case, which is one of the most extensive ever conducted by the Integrated Homicide Investigation Team.